Very clean home in Eagle Canyon, freshly painted inside! RV parking & lots of room for your toys. Great-room floorplan with lots of natural light. Laminate & tile flooring. 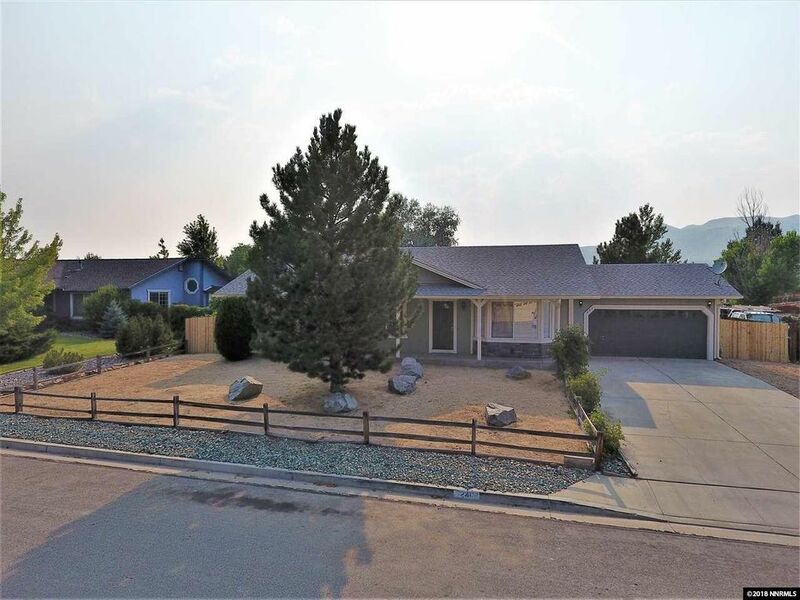 Remodeled kitchen has granite counters, large center island, gas range, built-in microwave, updated cabinets, pendant lighting & the refrigerator is included. Remodeled bathrooms have upgraded lighting, granite counters & tile backsplashes. 2 window blinds. Covered front porch. Upgraded lighting and fans. Please see extended remarks! One bedroom in front has french doors and makes a great office. Mirrored closet doors in master bedroom. 6-panel doors throughout home. The back yard is huge, and has lots of room for a shop, toy parking or a large patio. Central air conditioning. Split-rail fencing in front. Come take a look. This home probably won't last long!